Grades 3 - 5. Before the meeting read Next Best Junior Chef: Lights, Camera, Cook! 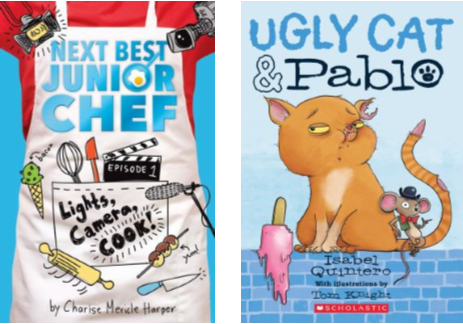 by Charise Mericle Harper and/or Ugly Cat and Pablo by Isabel Quintero. Arrive ready to team up for a Battle of the Books, other activities and a snack. Enroll child only. Sign up below or call 407-623-3300 ext. 4.